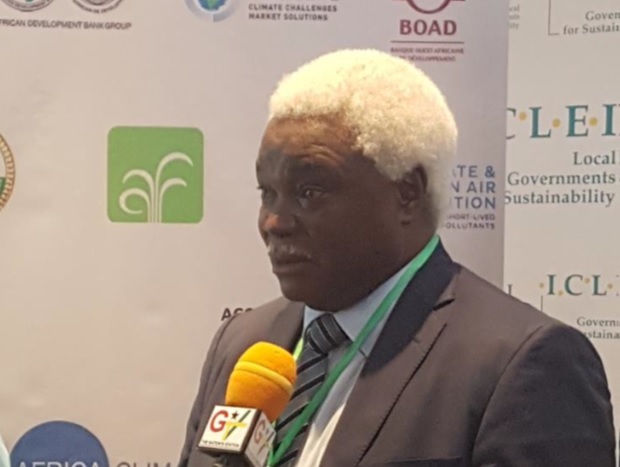 The Secretary General for United Cities and Local Governments of Africa, Jean Pierre Elong Mbassi, says the best way to champion the effect of climate change on the continent is for African leaders to finance itself themselves rather than depending on donor partners. 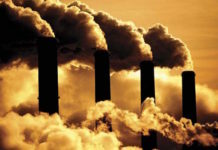 The International Finance Corporation has already put a figure on the investment opportunity of financing climate change solutions, estimating that the National Determined Contributions of 21 emerging market economies alone represents $23 trillion by 2030. 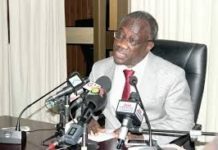 To this end, Mr.Elong Mbassi stated that “All that you do is on your own cost, you bear the cost of all that you do, even if they give you grant you bear the cost. Many African governments or local governments say we want people to give us money to implement our policies but this is a joke, (I like banks because they lend you money to pay back and this culture of paying back is essential for sustainability)all that they give you as a grant or gift is not realistic because first of all you have operating cost that you have to bear, maintenance and finally hope that can be destroyed” he told journalists at the just ended Africa Climate Week in Accra. 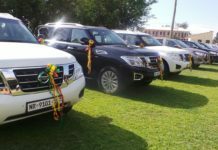 Minister for Local Government and Rural Development, Hajia Alima Mahama and Member of Parliament for Nalerigu/Gambaga indicated that the event represented Africa’s preparation towards climate change and also to highlights challenges to respond, adapt and mitigate the climate change phenomenon. “The forum is important for me because it is looking at local authorities, when we talk about national (we should not just look at the centres : Accra, sector ministries, we should also be looking at the local level because at the end of the day, climate is local action, any response we do, will have its impact on the local level”. According to her, the local level in Ghana they develop plans and the National Development Planning Commission (NDPC) take out issues from the national climate change policy the country has and they have developed guidelines for all local authorities. 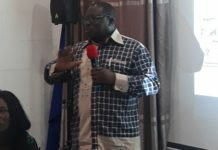 “Every year the MMDAs develop their plans, the issue here is money to implement them, locally yes we have the transfers of the district assembly common fund, we also have performance based contracts that we give for implementation of this plans but we are also saying that internationally when we talk about monies, resources for climate change we should earmark some for local authorities (Ministry of Finance will take it and based on a certain formula the local authorities will access those funds to implement their planned programmes and action plans” she explained. 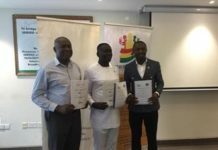 The Africa Climate Week ended last Friday in Accra which brought together diverse actors from the public and private sectors who were instrumental in demonstrating that there is genuine international support for stepping-up climate action. It marked the start of structured dialogue around Nationally Determined Contributions (NDCs) at Africa Climate Week hosted by the Ghana Government. 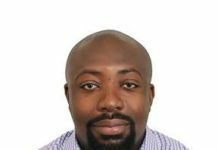 Delegates from all over the world gathered in Accra to, “discuss climate change actions and to strengthen stakeholders’ engagement in key sectors including energy, agriculture and human settlements. The event highlights Africa’s commitment to the implementation of NDCs in the lead up to the United Nations Summit for Climate in New York later in the year. The United Cities and Local Governments of Africa’s (UCLG Africa) Climate Task Force played a critical role during Africa Climate Week where UNFCCC asked the Task Force to coordinate and lead on Policy Block 2 promoting Cities and Local Action. The Memorandum of Agreement strengthens an existing collaboration to accelerate the implementation of global and African development goals at subnational level in Africa. Next articleThe Prince of Wales donates to GUBA Foundation.